At first glance, Generation Z (youth born after 1997) seems to be made up of anxious overachievers, hounded by Tiger Moms and constantly tracked on social media. One would think that competitors in the National Spelling Bee -- the most popular brain sport in America -- would be the worst off. 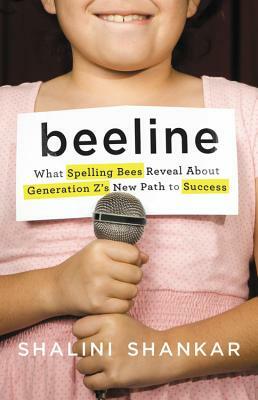 Counterintuitively, anthropologist Shalini Shankar argues that, far from being simply overstressed and overscheduled, Gen Z spelling bee competitors are learning crucial twenty-first-century skills from their high-powered lives, displaying a sophisticated understanding of self-promotion, self-direction, and social mobility. Drawing on original ethnographic research, including interviews with participants, judges, and parents, Shankar examines the outsize impact of immigrant parents and explains why Gen Z kids are on a path to success. Shalini Shankar is professor of anthropology and Asian American studies at Northwestern University. A Guggenheim fellow and National Science Foundation grant recipient, she is the mother of two Gen Z children. Shankar splits her time between Evanston, Illinois, and Brooklyn, New York. "Fascinating. Shalini Shankar uses the spelling bee as a lens into the world of Gen Z, illuminating its contours and giving us all a chance to reflect on what it means to grow up."